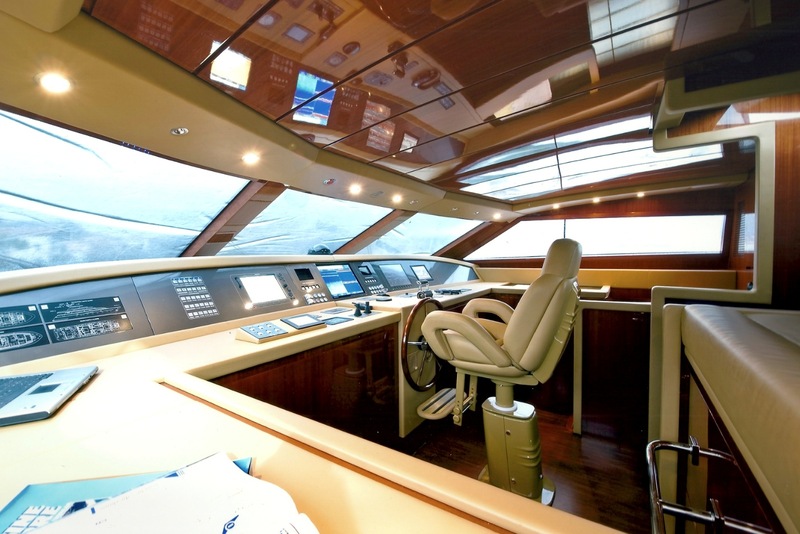 Based in Monaco, crewed motor yacht GPS, was designed by naval architect Della Role and built by the well know Italian shipyard San Lorenzo in 2009. The yacht GPS measures 26.7m (88ft) and is the SL88 model, she is capable of accommodating up to 8 guests, in 4 spacious cabins. 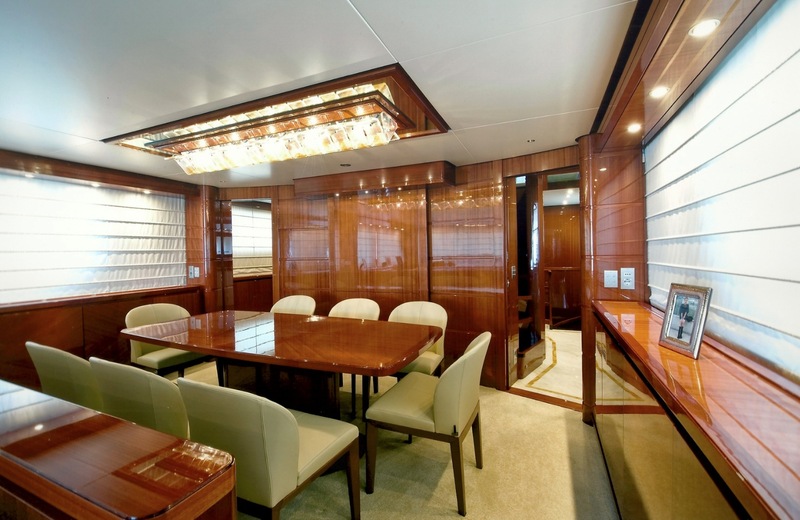 Motor yacht GPS has a refined elegant interior, featuring high gloss African Cherry wood panels throughout. The décor is contemporary and neutral, boasting relaxing earthy tones. The salon and dining are an open plan, casually separated by a low credenza. 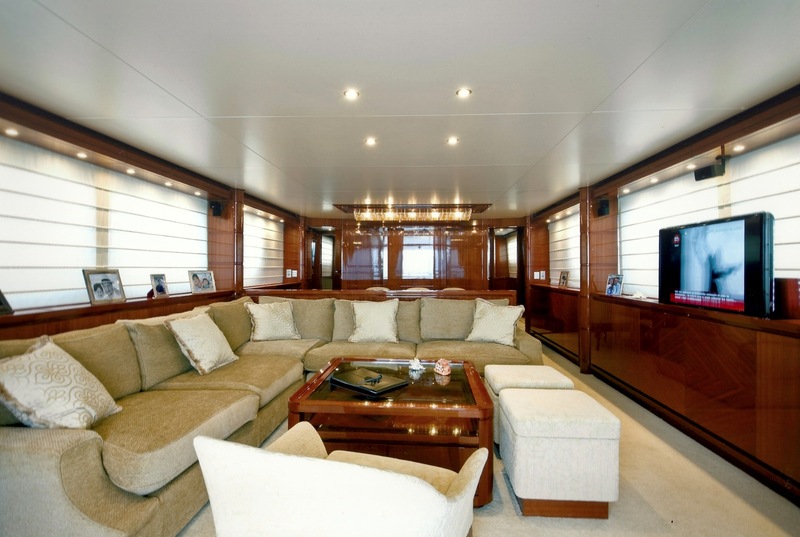 The lounge is aft and offers a plush L shaped sofa, coffee table and full entertainment system. Forward, the formal dining area seats 8 guests comfortably. Panoramic windows give guests the option of ample natural light, while shades provide intimate privacy. 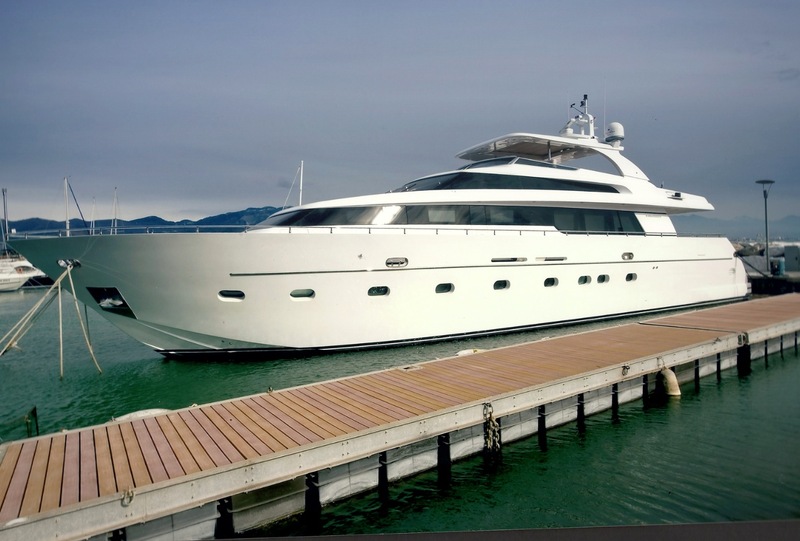 Guests will cruise in style aboard the GPS motor yacht, enjoying the many exterior spaces to relax. 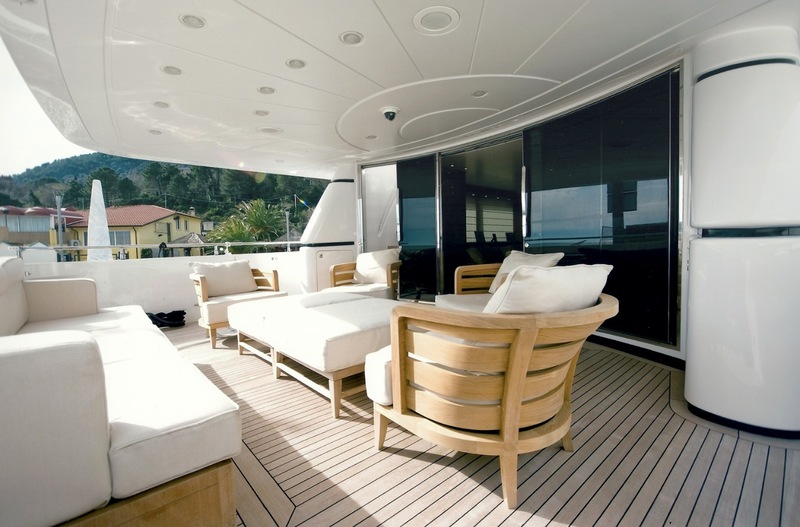 The aft deck is partially shaded and very generous. Outdoor lounges, tables and a sofa create a fabulous social atmosphere. 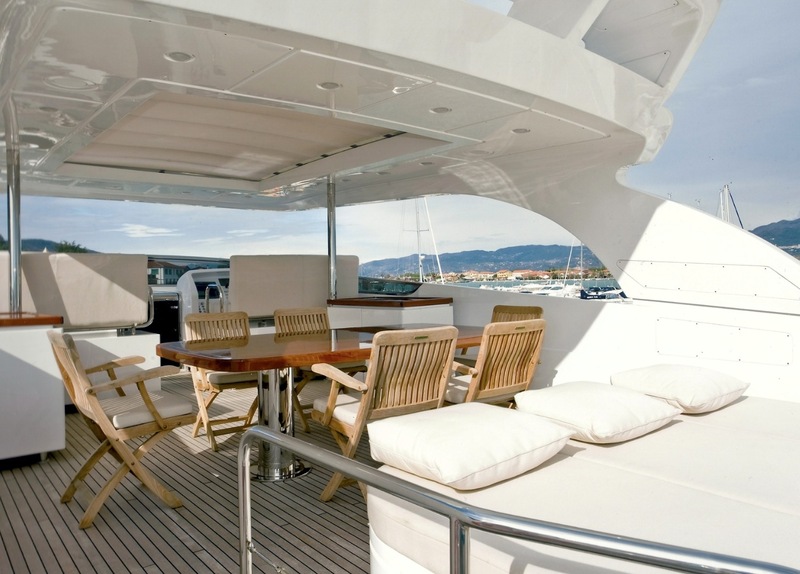 The aft deck is ideal for entertaining, thanks to the wide sliding glass doors, giving direct access to the salon. Crewed charter yacht GPS offers a good assortment of water toys, all effortlessly enjoyed from the extended swim platform. 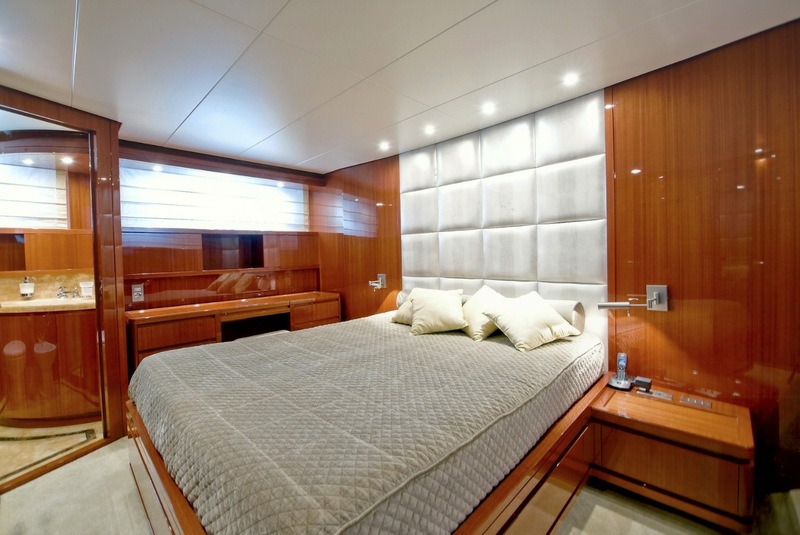 Those wishing for a private moment, or simply a quiet retreat, will find the spacious foredeck and ample seating area ideal. Above the main deck, the SL88 San Lorenzo yacht GPS boasts a flybridge designed for any occasion, offering an alfresco dining option, seating, a triple sunpad and retractable Bimini top. 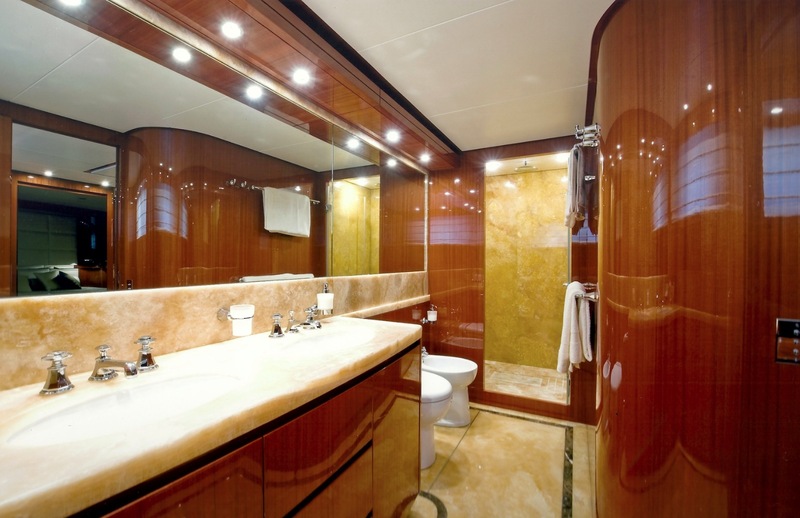 M/Y GPS offers deluxe accommodation for up to 8 charter guests in 4 en-suite cabins, each cabin boasts fine African cherry woods and a serene neutral ambiance. 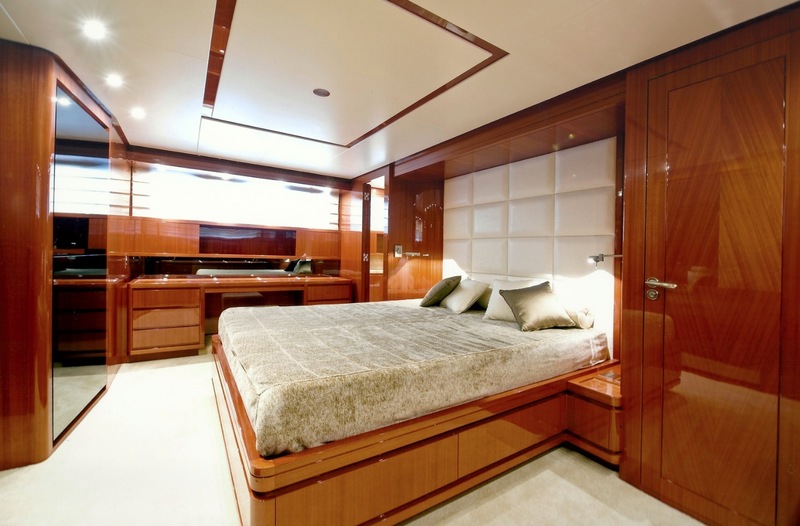 The master stateroom is aft amidships and full beam of the yacht, the VIP cabin is forward and full beam of the yacht. 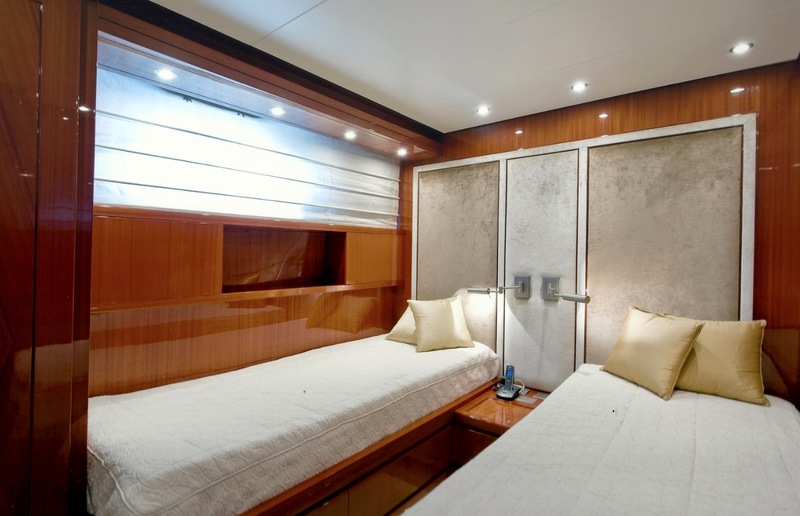 Two further cabins are on port and starboard, one cabin boasting a double bed, the other 2 side by side single beds. Charter yacht GPS offers functional layout, making her the ideal choice for families with children, or groups of friends.